Multiplayer gaming on your mobile device never looked so adorable. 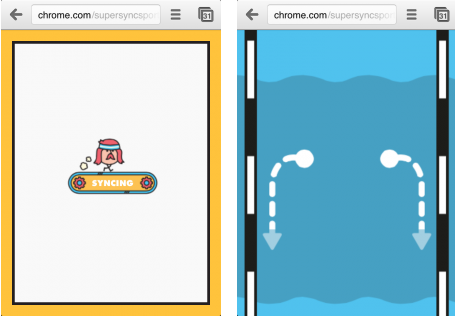 Google’s newest Chrome-based game, Super Sync Sports, allows players to hook up their mobile gadgets to their computers and use the former as the controller. Players can also send invite codes to friends to join up to four gamers in one session. Naturally, computing editor Jen Bergen and I had to try it out as a fine hump day treat. “This is a Chrome experiment,” the gaming site reads, and it’s a darn good one. To get started, players log into the game via their Chrome browsers and insert the same invite code to ensure that everyone is in the same session. After their phones or tablets sync to the computer (we tried it with both the Galaxy Note II and the Nexus 7 tablet), it’s time to make a selection from 45 quirky characters. Seriously, you can elect to be a moose, a slab of steak, a vinyl record, or a hipster-looking dude with a sweatband and handlebar mustache. They’re all pretty awesome sprites. 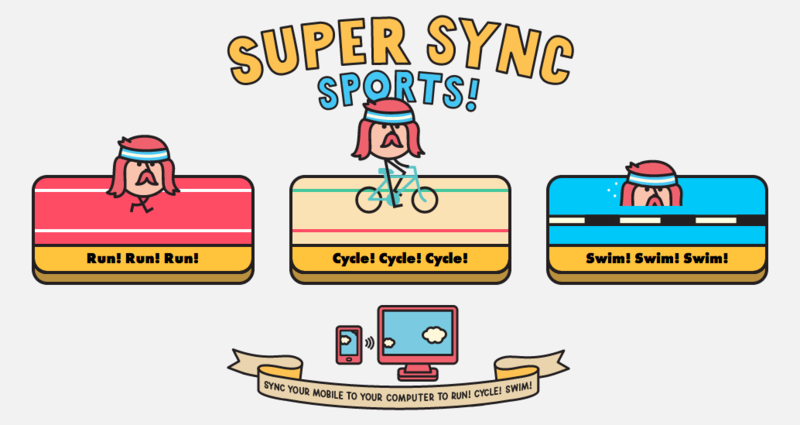 Super Sync Sports currently offers three games: Cycle, Swim, or Run. Each game lets players use touchscreen gestures on their mobile devices to control the characters on the computer screen. For example, in the swimming race, players make butterfly stroke motions on their smartphones or tablets. The faster and more uniformly you make these gestures, the faster the character swims. At the end of the race, users can also tweet, Facebook, or Google+ their high scores and invite others to join. The technology is based off a combination of HTML5, CSS3, WebSockets, and Google App Engine which allows players to enjoy the game without additional plugins. This resulting product makes Super Sync Sports a basic, adorable, and fun game to play alone or with friends regardless of location or operating systems – as long as Chrome runs on your device (sorry, Windows Phone users). You can try it here today. Meanwhile, I’ll be over at the game trying to land first place in all three categories. The Olympics ain’t easy – even in animated gaming form!